Routledge is pleased to offer the Library & Information Science community free access to a collection of over 50 articles covering the topic of Institutional and Subject Repositories in academic libraries. Access these articles until September 30, 2016! 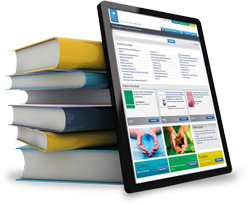 Taylor & Francis Online provides access to, and information about, all journals from Taylor & Francis and Routledge. Search or browse a portfolio of over 2,700 journals from the Taylor & Francis Group. for librarians, researchers or practitioners. For libraries in DEVELOPING COUNTRIES there are SPECIAL PROGRAMMES that offer free or low cost access to academic and professional peer-reviewed content online!